Among some of the most unique experiences I had while living in Italy were tasting varietals practically unheard of to the US market. The opportunity to present these grapes in Massachusetts is one of the most exciting aspects of what I am doing. It’s very rewarding to be able to support friends who have made the bold choices to promote long lost varietals that are barely even known in their own regions. At La Sabbiona, Mauro Altini and his family have made such choices, and we thank them for that. 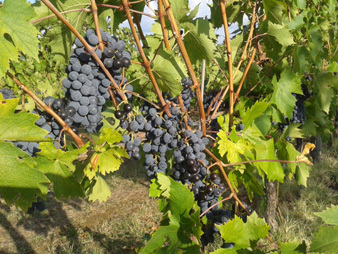 Mauro grows Sangiovese just like many other producers near Faenza, a city in eastern Emilia Romagna. Where he differs is his choice to also grow both Famoso and Centesimino. 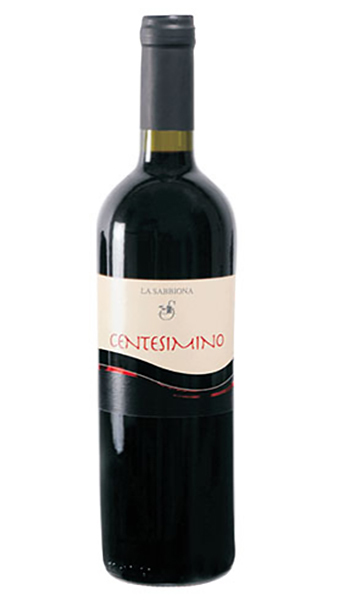 Besides being a mouthful, Centesimino is a red grape varietal grown on just a handful of farms in the world. In fact there are only about 40 acres of this varietal planted in the world. It’s a varietal (thought to have been grown in Faenza since the 17th century) that disappeared from vineyards in this area and was written off as extinct until an amazing discovery in the 1940’s. Mr. Pianori’s nickname was Centesimino, which is of course where the varietal gets its name. Thankfully the vines in his courtyard were healthy enough to take clippings from so that Centesimino could again be planted on dedicated farms like La Sabbiona. When Mauro’s family bought the farm in the 60’s Centesimino plantings were already growing, but Mauro has made a tremendous effort to propagate further on the property and truly experiment with the varietal, which includes the production of a passito wine. 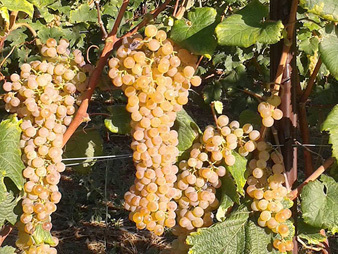 The story behind La Sabbiona’s other obscure varietal, Famoso, is quite similar. Historical data going back to 1437 shows that Famoso had been grown in the area for centuries. In the 1900s, it was all but abandoned and forgotten about. Thankfully, the grape hung on and survived thanks to its ability to withstand the cold and its general vigor. In the year 2000, a mere two rows were left in existence in the town of Mercato Saraceno, a tiny village between Forli and Cessena. Beyond rows these were just vines grown high in the hills, in a very remote part of Emilia Romagna. The old farmer who had maintained these two rows called the varietal “Famoso”, simply because the damn varietal just wouldn’t go away. It was famous for its ability to survive, let’s say. Mauro caught wind of this and was able to taste a small bottling from these few remaining plants by a professor who shared Mauro’s excitement for long last varietals. After tasting Mauro was amazed by the potential for the grape has since planted the varietal on his property and helped revive one of the region’s most ancient grapes! 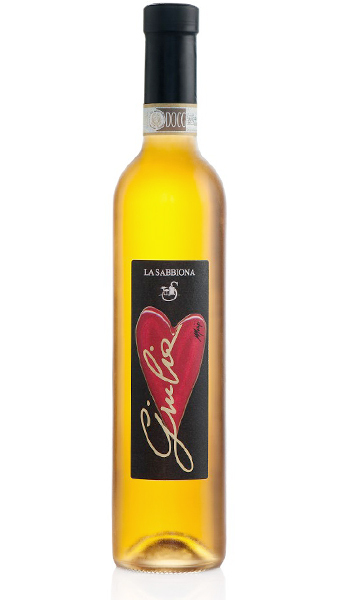 La Sabbiona sits on 28 total hectares of property, 15 of which is planted to vine. This property was purchased by Mauro’s parents, Sebastiano and Maria Serena, with the intention of producing wine and also running an agritourism/restaurant. The agritourism accommodates close to 20 people and the restaurant is open all summer long. It is a favorite of locals in Faenza and other cities in Emilia Romagna. I’m amazed that the Altini’s are able to manage both businesses, and they do so with great pride and diligence! When the Altini family purchased the property, Centesimino was already planted. 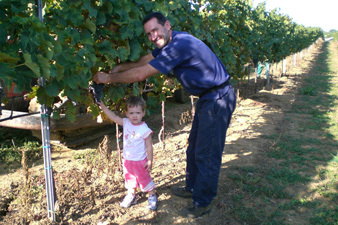 About 10 years ago Mauro decided to plant about 2 hectares of Famoso. Beyond these two grapes, much of the vineyard is planted to Sangiovese, which is very famous in this part of Emilia Romagna. 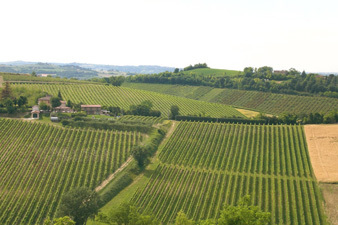 Merely miles from the border with Tuscany, it is a point of contention between the two regions over the true birthplace of Italy’s most famous grape varietal. There are plenty who believe that Sangiovese is most at home in the hills of Romagna. The reference point of the entire region is the pictured Tower of Oriolo, located on the hilltop just above La Sabbiona. The vineyard forms a bowl like shape below the tower, wistfully making its way down the softly rolling hills that surround the agrotourism. Vines reach no higher than 150 meters, with most of the white planted around 80 meters towards the bottom of the hill. The reds in particular benefit from constant sunlight throughout the day, particularly those positioned at the hilltop. In general, these are south facing vineyards. Vine density is around 3,400 plants per hectare, with average yields in the neighborhood of 80 tons per hectare. 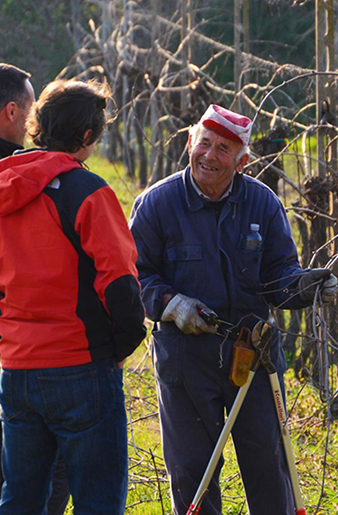 La Sabbiona is not certified organic, but Mauro, along with the help of a few trusted workers (pictured), work diligently to limit the use of any chemicals and produce terroir driven wines. This wine is from eastern Emilia Romagna, close to the ocean. That being said, it would work well with a seafood salad or fried fish. It also could work with the more famous dishes from Emilia Romagna, like tortellini filled with cheese in a cream sauce. Manual harvest at the end of September. 24-36 hours of maceration on the skins help to give color and substance to the wine. The wine ages in stainless steel. The first to experiment with a Famoso Spumante, Mauro recognized that a Spumante could better capture the floral and bright side of the varietal. 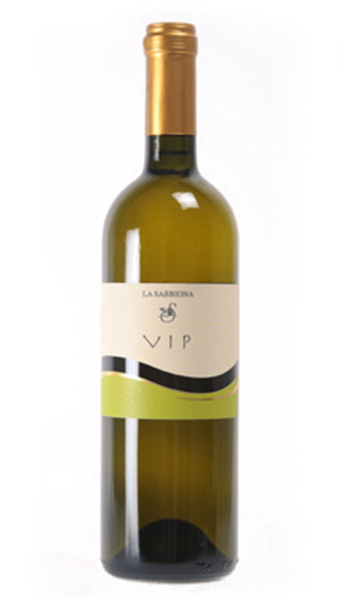 Similar notes to the still version, with more prevalent white flowers and lively acidity. Light enough for an aperitif with meats and cheeses on the patio, but can cut through fried calamari, cheese tortellini, or lemon grilled chicken. 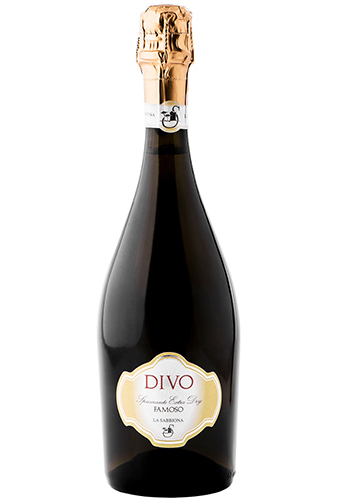 Grapes are harvested a few weeks prior to the rest of the Famoso, maintaining more lively acidity. Charmat method before bottling and release. A great mix of freshness and structure! This wine has a braised meat, BBQ sauce quality to it, particularly on the nose. It packs a punch with notes of blackberry and decent tannins. A nice long finish. • Versatile, works with anything from chicken cacciatore to lighter roasts to pizza and to hearty pasta dishes. Manual harvest at the end of September. 12-15 day maceration on the skins followed by stainless steel aging for 6 months. 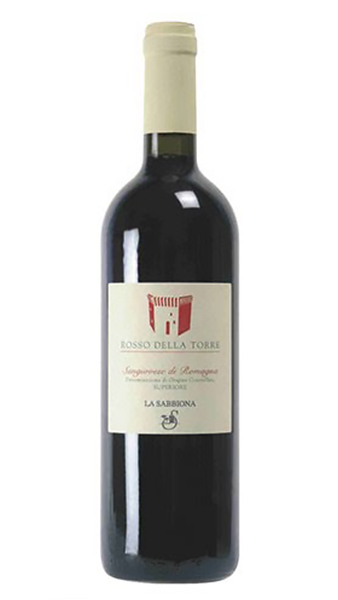 Sangiovese from Romagna is a completely different style than its neighbors to the south in Tuscany. These wines don’t have the complexity nor acidity that you expect from a Chianti Classico, for example. Nor really the tannin for that matter. What they do offer however is more simplicity, roundness and that typical fruit of the varietal. Sangiovese di Romagna is more of your everyday wine and that is definitely what Mauro is out to achieve with this wine. Aged cheeses, meat sauce, most anything on the grill, hearty tomato based fish preparation. Fermentation with selected yeasts that lasts 10 days. The wine will spend another 10 days with the skins with frequent pump over. The wine ages in stainless steel for about 8 months before bottling and release. Ideal match for biscuits and candied fruit. Going to Italy? Stay at La Sabbiona’s B&B or dine at their restaurant!